It’s yard sale season! Frugal folks who want to get great items at a low price will definitely want to embrace this season. However, you have to realize that it’s really easy to spend too much money on yard sales and end up with a bunch of clutter that you didn’t need in the first place. You want to make sure that you have some good garage sale skills before you tackle the season! Impulse spending. The biggest risk that you take when shopping at yard sales is that you’ll constantly want to buy what you see just because it looks neat. Impulse buying is never good for the budget! Have you seen our ten tips to curb impulse spending? Overpaying for used items. Sometimes you will get a price that seems fair only to go home and find out that you could have gotten the same used item online for half what you paid at the yard sale. Ending up with items that are stained or broken. The hectic pace of some yard sales can make you feel rushed and you may not look carefully enough at the items that you are buying. Create a budget. Before you go to a single yard sale this season, you really need to create a budget. You simply can’t spend money that you don’t have. Luckily, this is a little easier with yard sale shopping than with online or in-store shopping since you have to pay cash at yard sales. Make sure that your garage sale spending doesn’t take away from the rest of your family budget, though. Make a budget that includes your shopping for the season, and take only the cash you need when you go garage sale shopping. Do you have unsteady income? Our guide to freelance budgeting can help! Make a shopping list. You should make a list of all of the items that you hope to buy at a yard sale this season. This way you can narrow down your search to those items that you actually need. This will help you avoid impulse spending, overspending and ending up with things that you don’t need. Do your research. Go through your shopping list and research what some average prices are for used items on your list. This will give you a guide about what you will want to spend so that you don’t overpay for items at yard sales. It can also help you adjust your yard sale budget for this season! Take your time. Give yourself plenty of time to browse when you go to a yard sale. You’ll make the best decisions and get the best items if you don’t feel rushed. Learn to barter. The prices at yard sales are rarely firm, so you need to learn how to barter and negotiate for a lower price. Having done your research for your shopping list will help you know what is a fair price to pay. Many people are uncomfortable with bartering at yard sales, but this is how you get the best deals. If you’re going to take advantage of the frugal shopping options at this year’s yard sales then you’ll need to practice the art of negotiation. Know what you want to pay. Doing your research ahead of time will help you determine what a fair price is. Know what the highest price you will pay is. Make sure that you set a maximum in your mind before you enter into the negotiation. Ask what the price is. Ask the seller if that price is firm. Another way to phrase this is, “are you able to come down any?” At this point the seller will decide whether or not to enter into negotiation with you. If they do, then they will tell you what lowest price they’ll accept or they’ll ask what you want to pay. Accept the price if it is around the target price that you want to pay. Bartering doesn’t mean bringing someone down to an impossibly low price. It means paying a fair price. Name a price lower than what your target price is. If you are asked what you want to pay then aim lower than what you truly want to pay, leaving room for negotiation to make both parties happy. If you can’t get the seller to agree to a price that is lower than the maximum that you’ve set in your mind then you need to walk away. No ifs, ands or buts. Celebrate yard sale season, but do it right so that it benefits you! 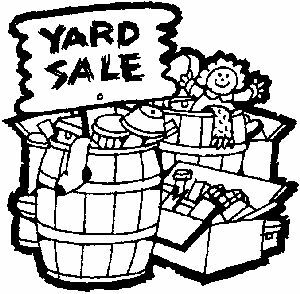 And don’t be afraid to host your own yard sale this year to get rid of some items and make some money. Love this article! I am a frequent bargain-er myself, and I love to learn the ins and outs of getting the most of a garage sale – especially when you could come out at a loss if you’re not careful. Any tips on certain items that you should/shouldn’t buy at a yard sale versus brand new at the store or vice versa?